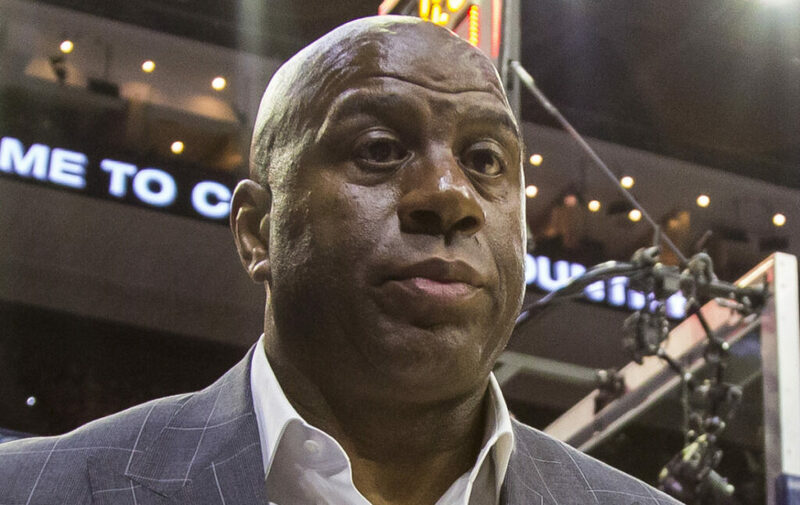 An NBA investigation finds Magic Johnson's comments about Philadelphia's Ben Simmons were not against league rules. THUNDER: Russell Westbrook set an NBA record with his 10th straight triple-double on Monday night, as Oklahoma City beat Portland 120-111. ROCKETS: James Harden stepped back and sank a 3-pointer over Dorian Finney-Smith with a with 52.9 seconds remaining in a 120-104 victory over the Dallas Mavericks on Monday to finish with 31 points for his 30th straight 30-point game. Harden denied that he was concerned about getting 30 points.